I missed posting a few days, you should only be moderately concerned. 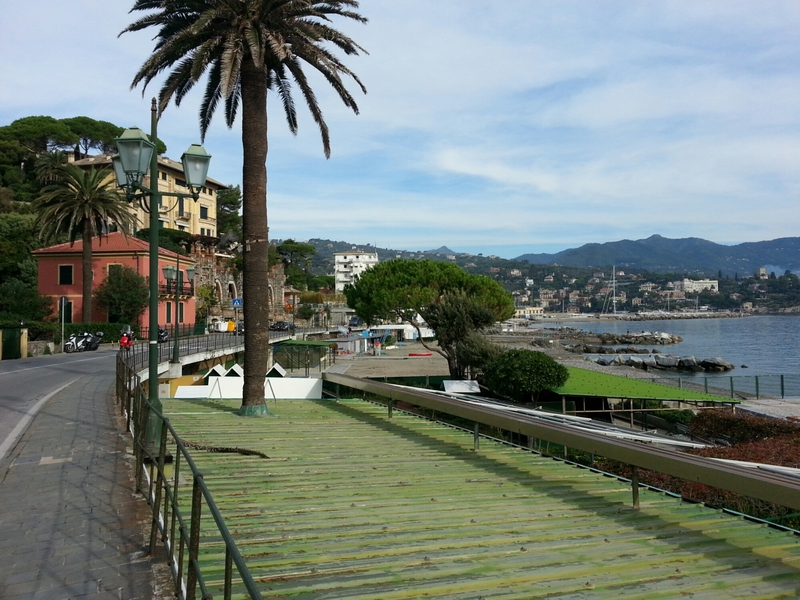 I finally woke up in Portifino around 8:00. I had poked my head out the window at 7:00 but it was still dark and I was tired. 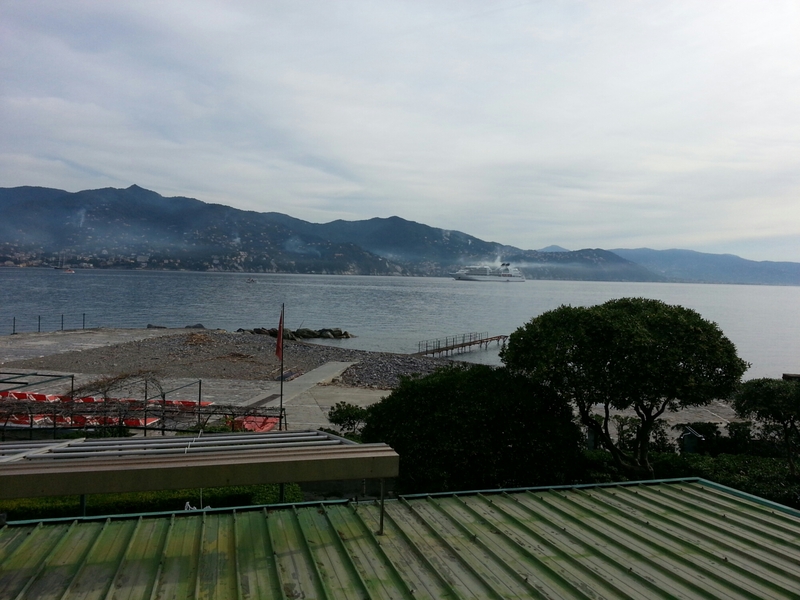 Our hotel was right on the waterfront and scenic. The ride started out along the seafront in the picture background, spectacular, and then turned upwards, also spectacular. The mountains rise up to about 615 meters and the roads became quite twisty, great motorcycling. The plan was to ride 300 km today, which is plenty with curvy roads. We moved into the Chianti Region and ride through vineyards and olive groves. The vineyards looked like the features were picked and the vines pruned. As we rode past villages, you could smell yeast, the winemaking process had begun. We stopped in Giao to find a room for the night. It seemed like everything was booked. While our tour guides searched the internet Josh, Art and I explored. 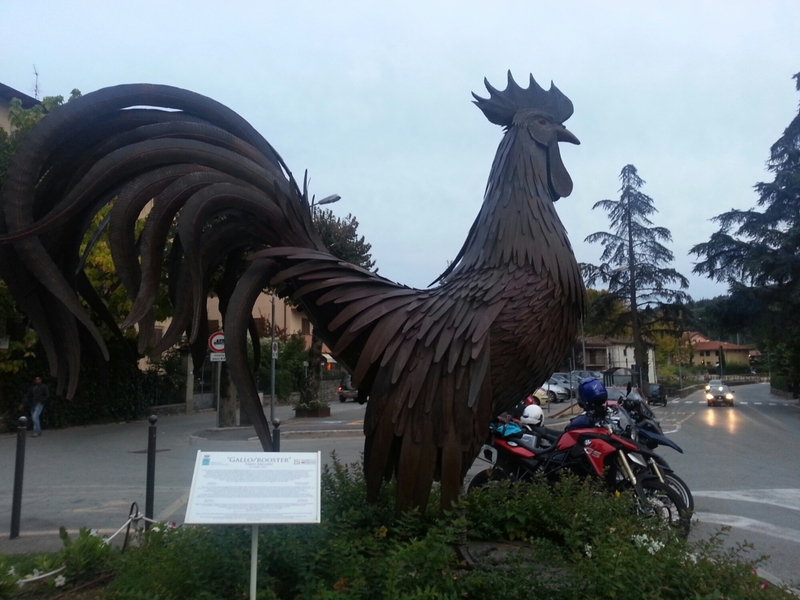 We found a giant Gallo Rooster, the symbol of the Chianti Region. The hotel they found was in Radda. It was a very nice resort and had a line of KTM off-road motorcycles lined up out front… perfect. We arrived in the dark. I lucked into a suite with two rooms and a terrace. 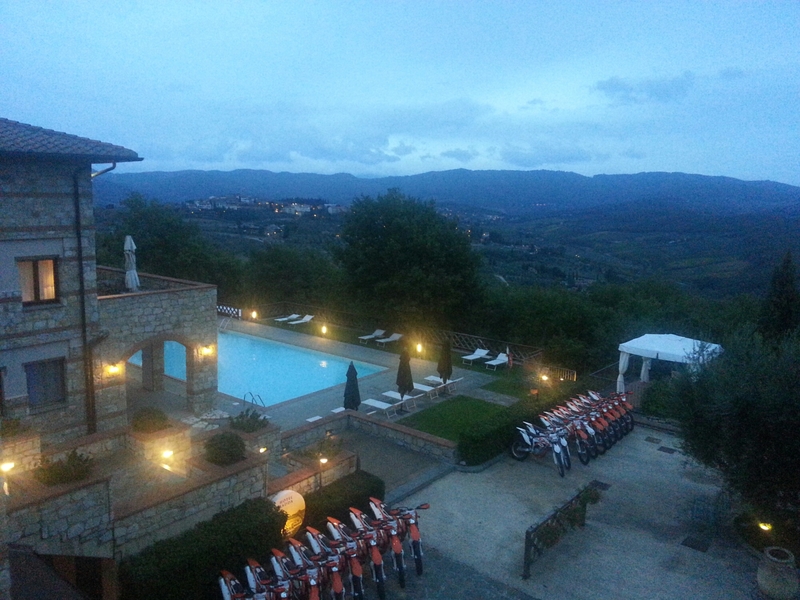 We had dinner in the hotel restaurant accompanied with… wait for it… Chianti Classico wine. A great day.